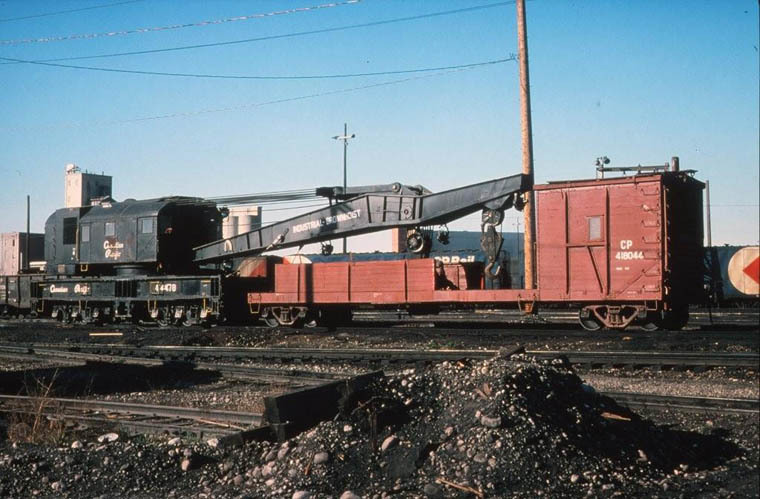 CPR Cranes: Auxiliary, locomotive and Burro cranes. 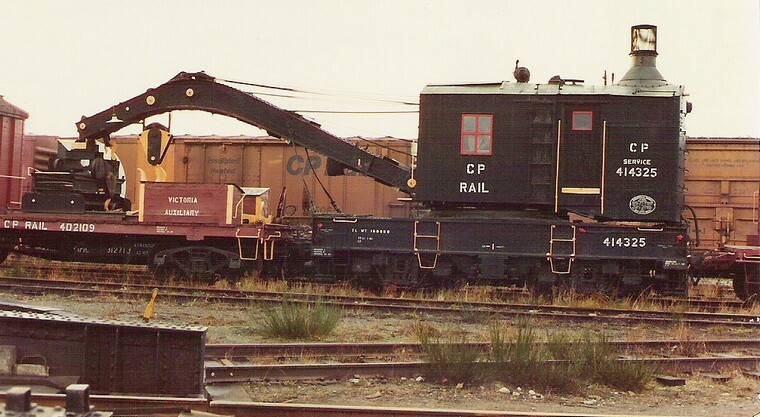 300791in OCS service with old Burro crane. 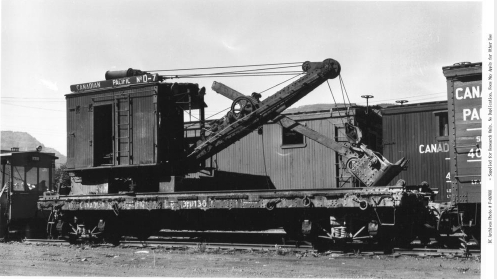 414325 100-ton auxiliary steam crane with boom car 402109. 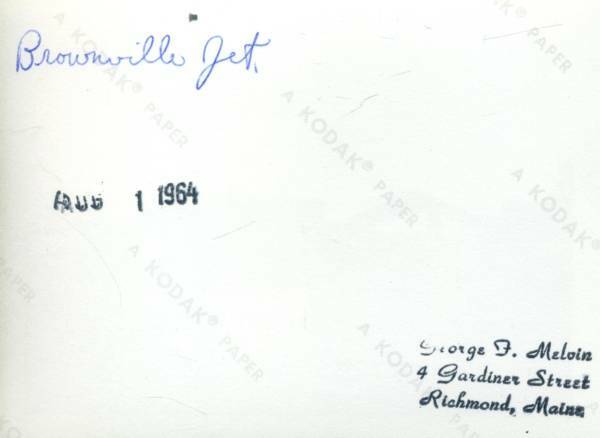 Preserved at Prince George musuem. 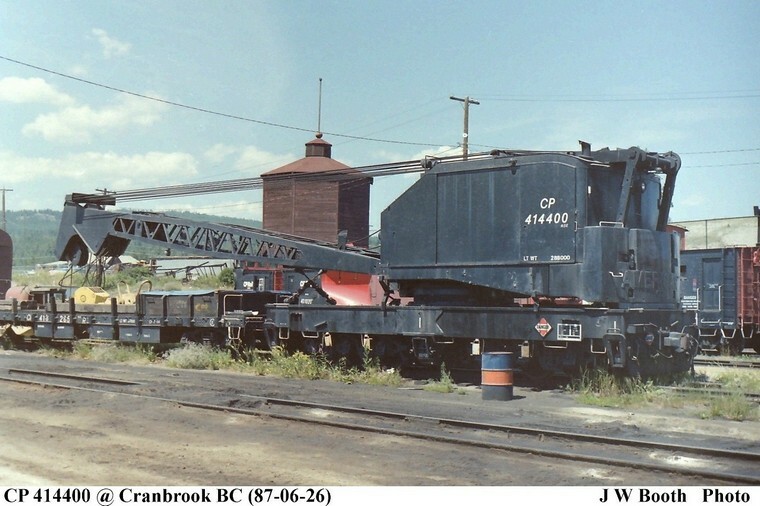 414400 American locomotive crane. 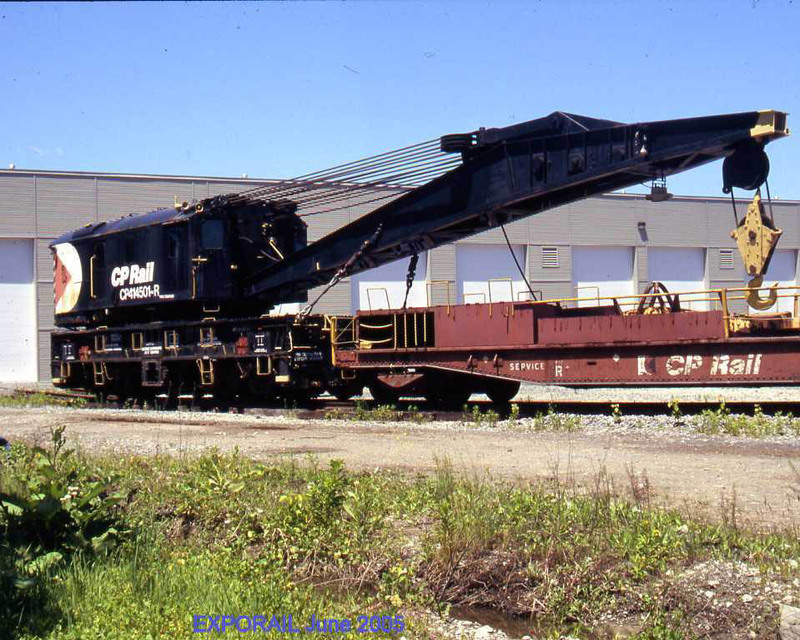 Scroll down to see another photo in operation. 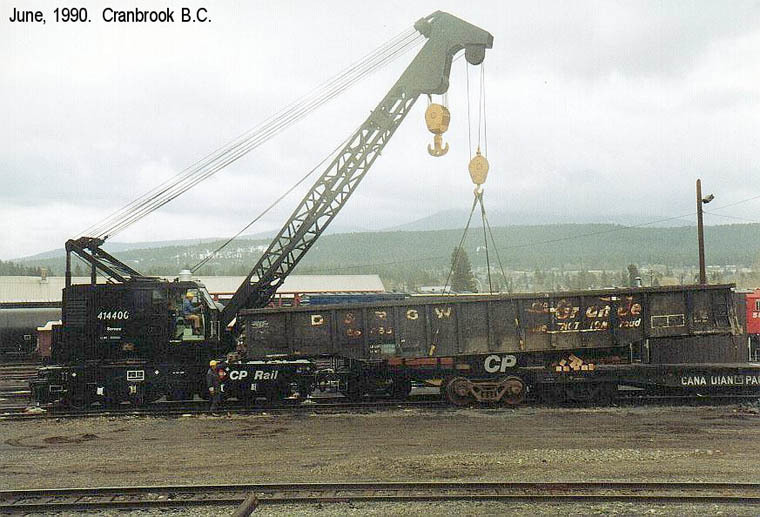 414502 250-ton "big hook" on Revelstoke Auxiliary. 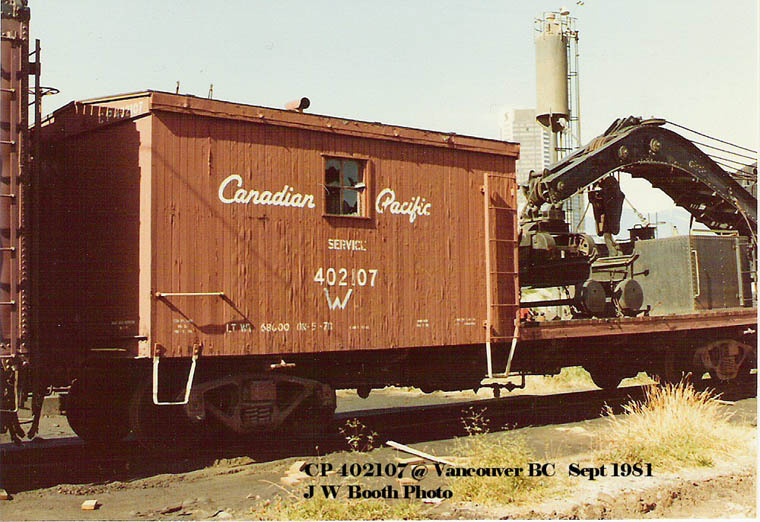 404304 auxiliary tool car converted 1969 from lightweight baggage & express car 3809. 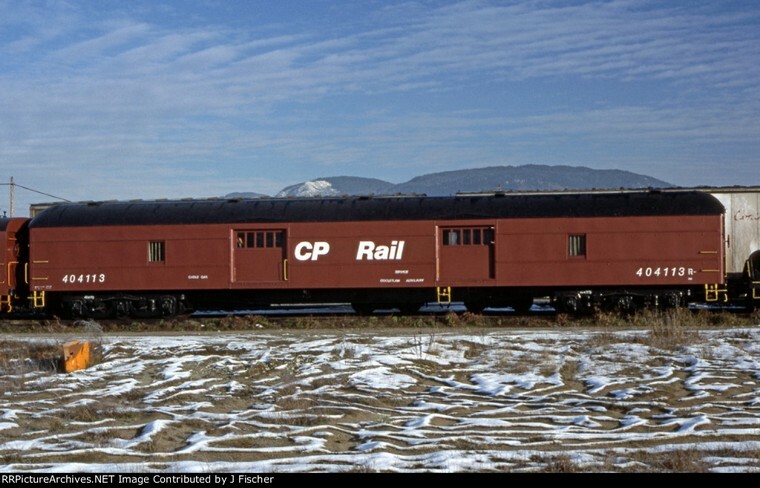 Converted December 1960 from mail & express car 3602 built July 1936.
built December 1920. 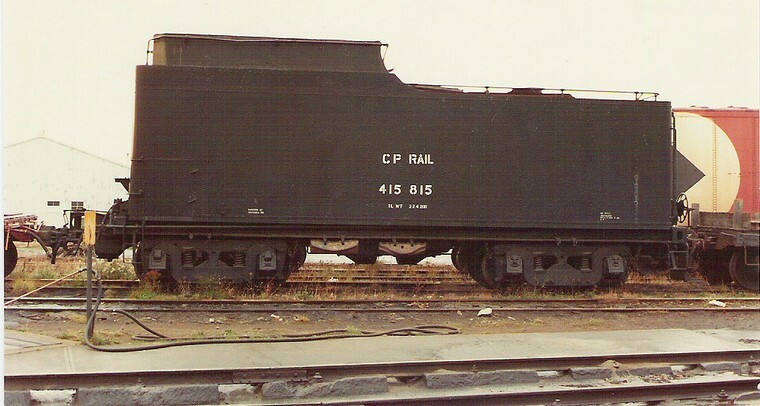 Modified April 1959 to horse express car 4545. 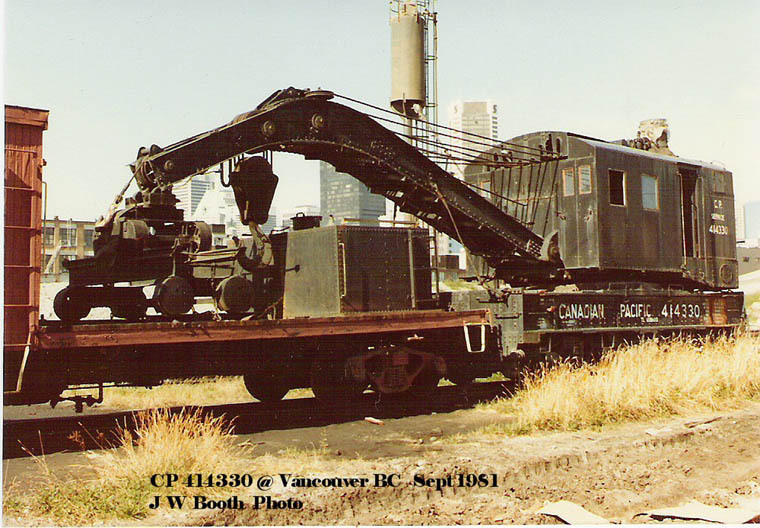 414203 (?) 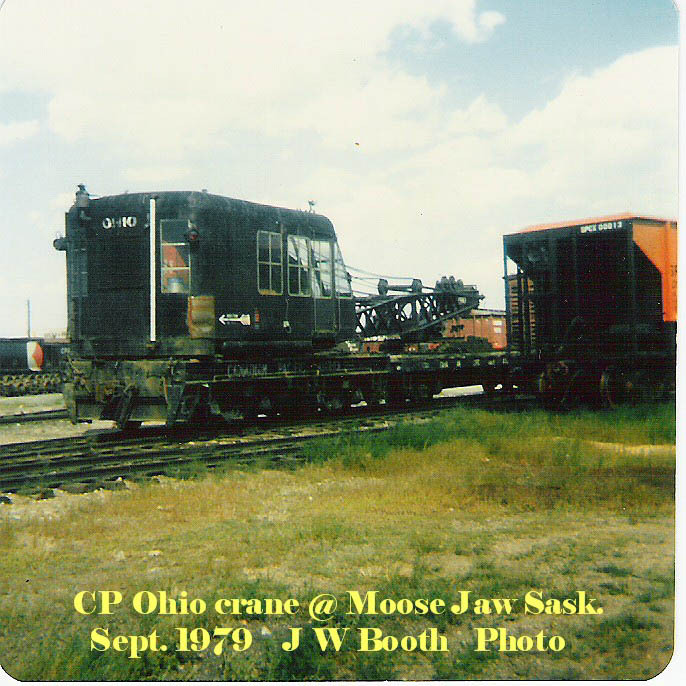 Ohio Locomotive Crane. 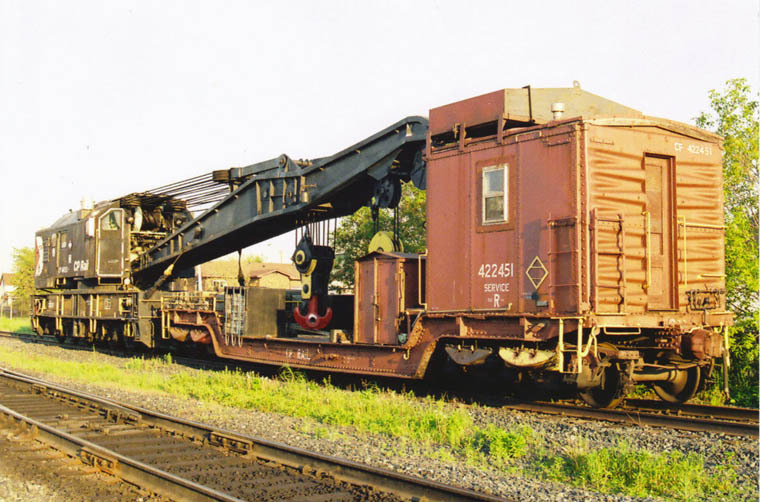 414330 150-ton steam auxiliary crane and its accompanying boom car 402107 retired. 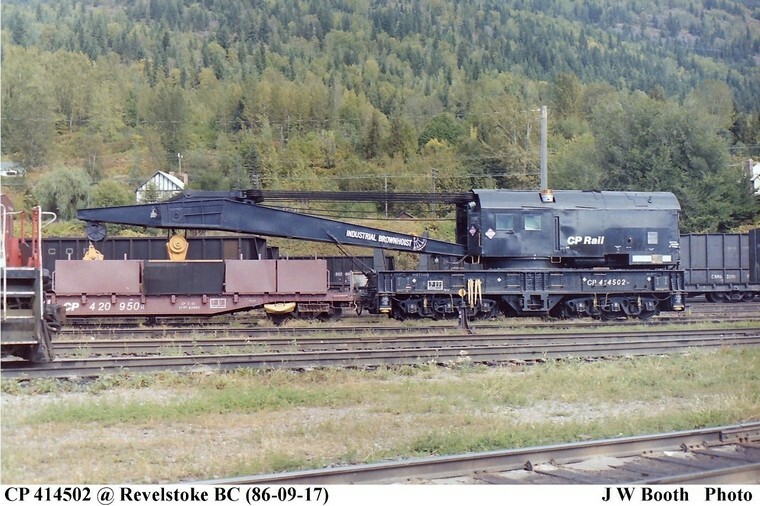 This last CPR steam crane was preserved and is now at WCRA museum in Squamish, BC. 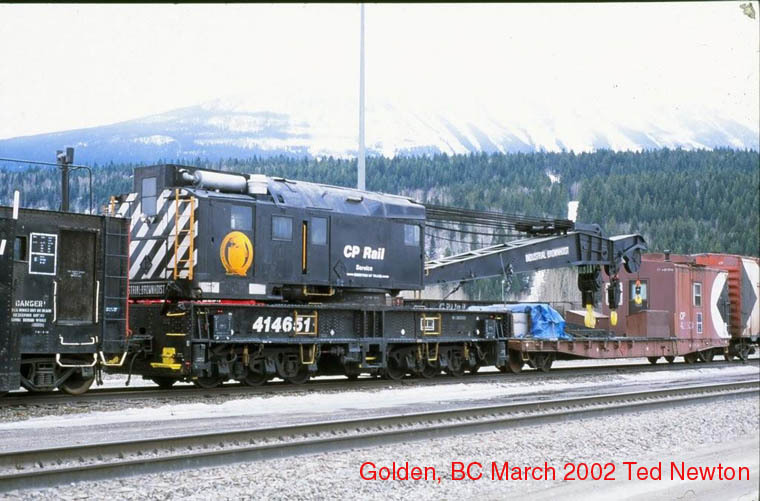 402107 Hand-painted W signifies it has been retired and is "Waiting disposal". 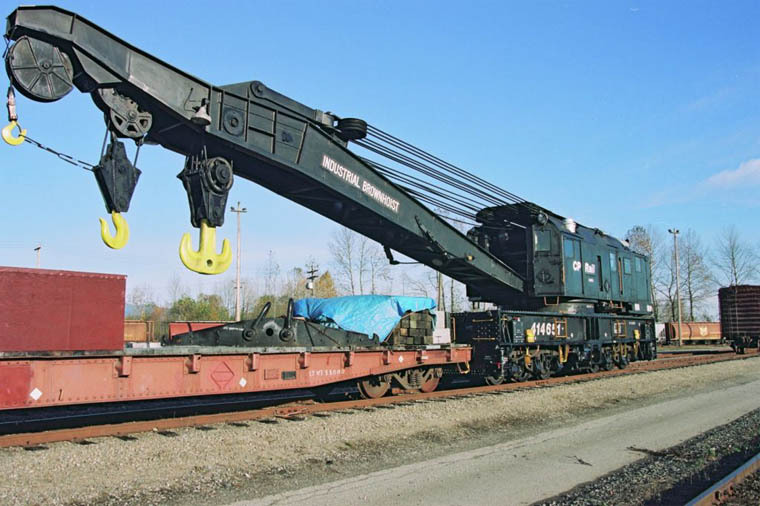 414400 locomotive crane (self-propelled) at work. 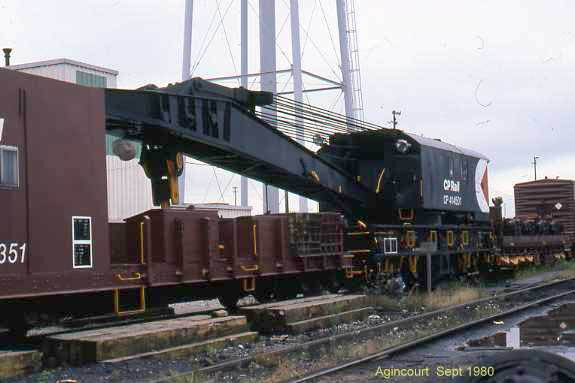 Looks to be loading an old gon onto a flat car. 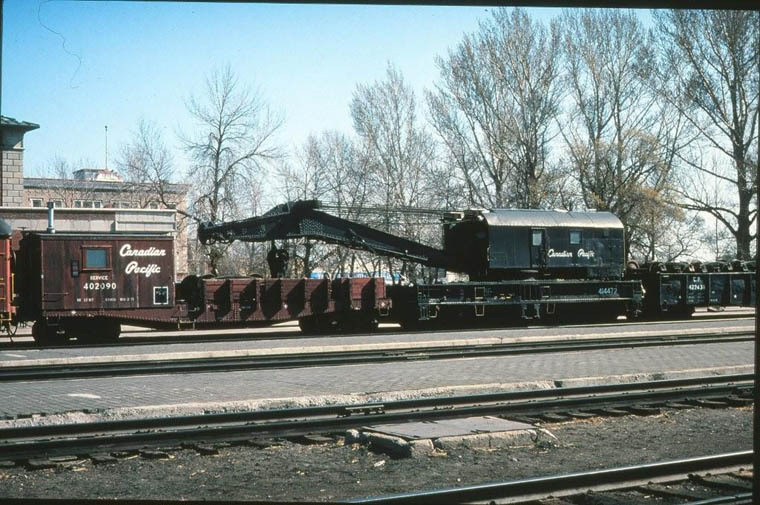 414472 (200 ton) with boom car 402090 on the Moose Jaw auxiliary. 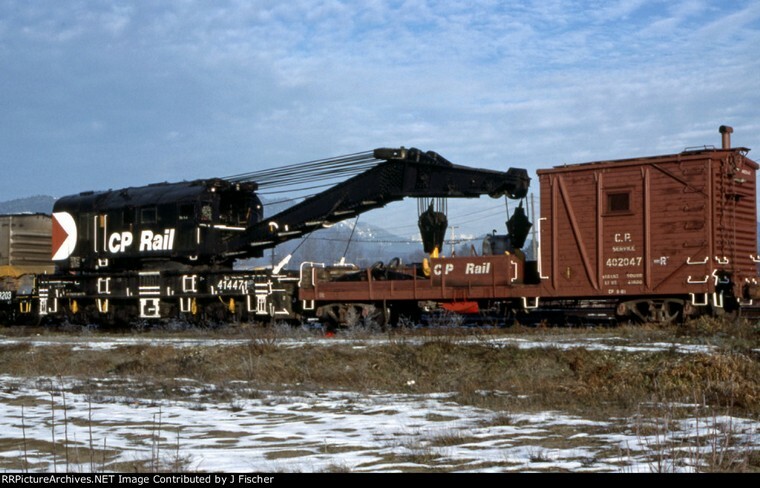 May 3, 1976 Tom Newton/Bob Heathorn collection. 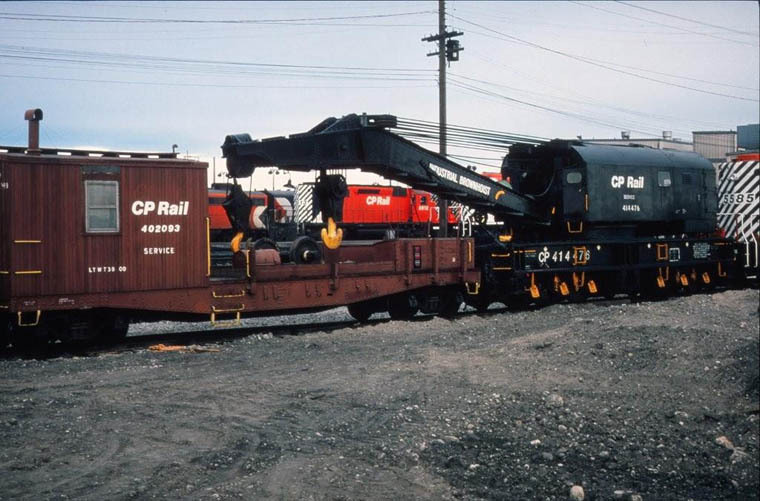 414476 (200 ton) and boom car 402093 Calgary auxiliary. 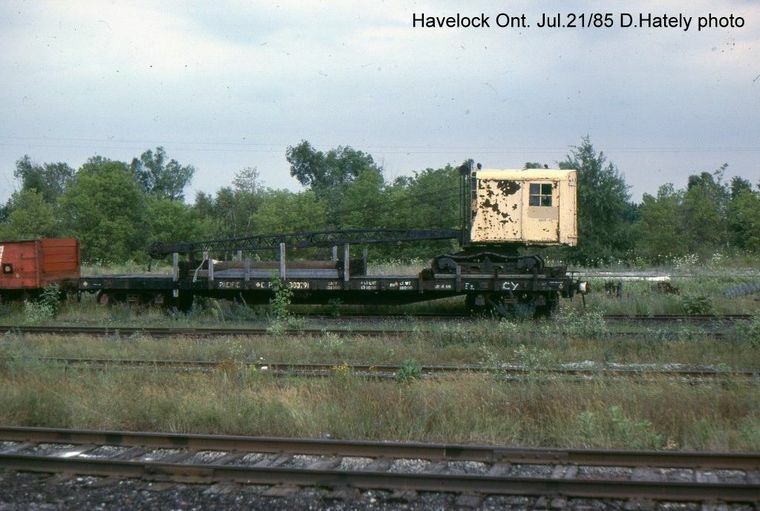 July 3, 1976 Tom Newton/Bob Heathorn collection. 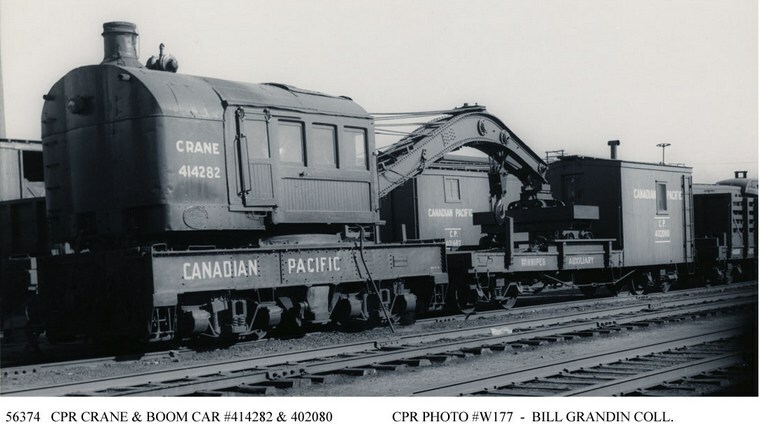 414478 (200 ton) and boom car 418044 . 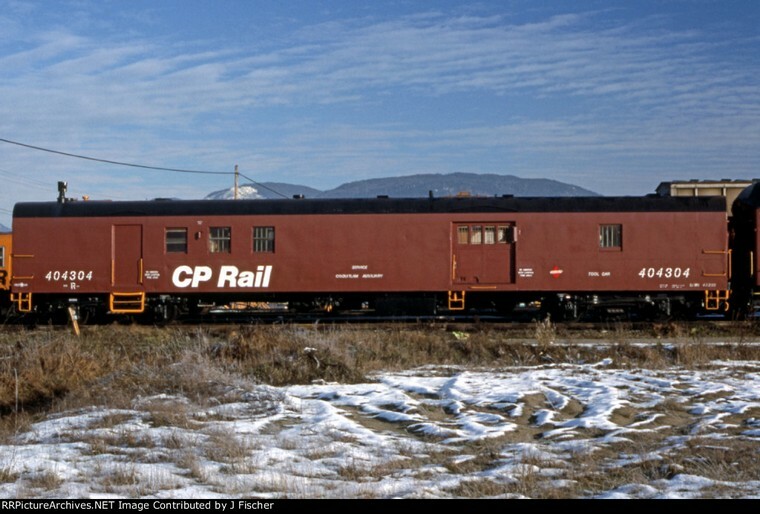 Calgary April 24,1997 Tom Newton/Bob Heathorn collection. 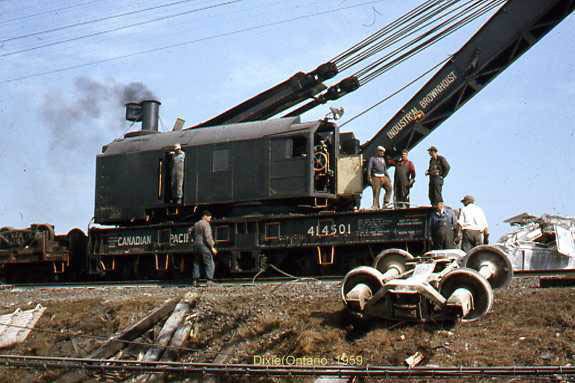 414501 250 ton #1 auxiliary steam crane at work clearing up an "affair" at Dixie (Toronto Terminal) 1959. 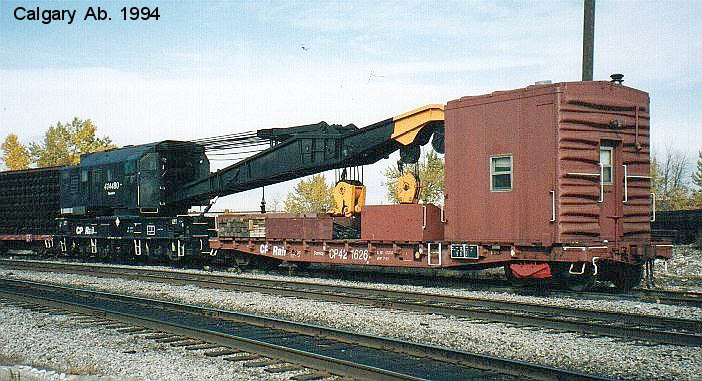 Auxiliary crane 414503 (250 ton Industrial Brownhoist Blt.1968) with its unique depressed flat boom car 422451. 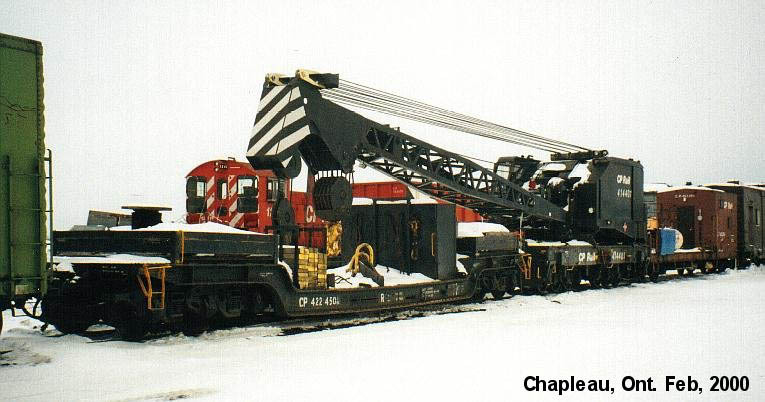 Note: This auxiliary crane was being transferred to Golden, BC. 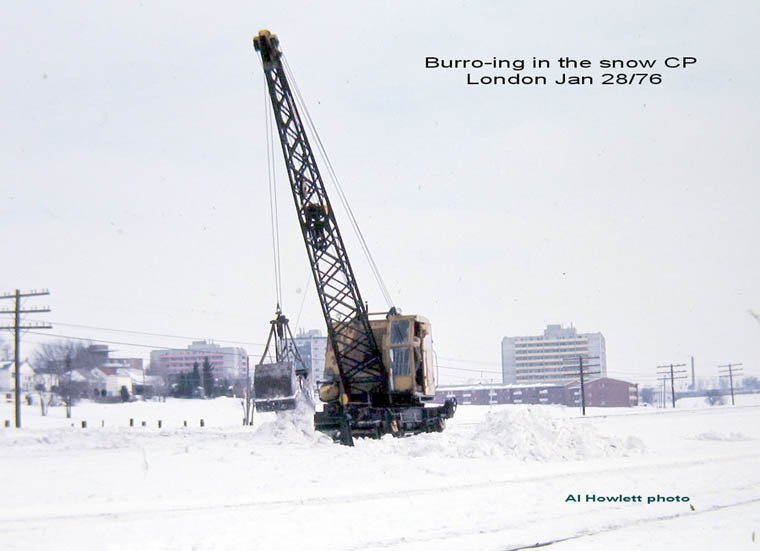 Some of the carmen gathered for a final photo. 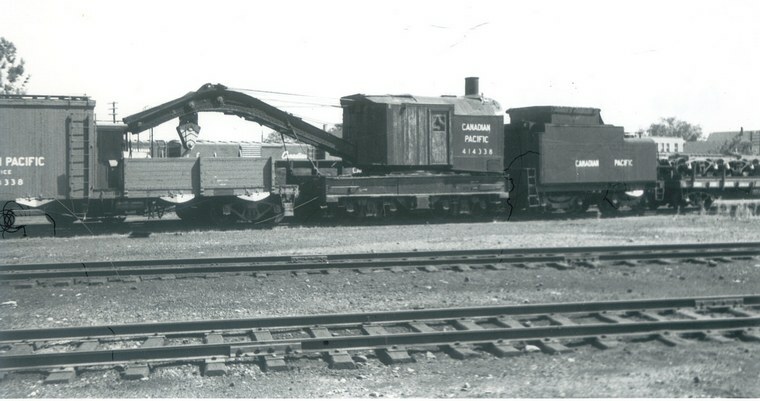 Shovel No. 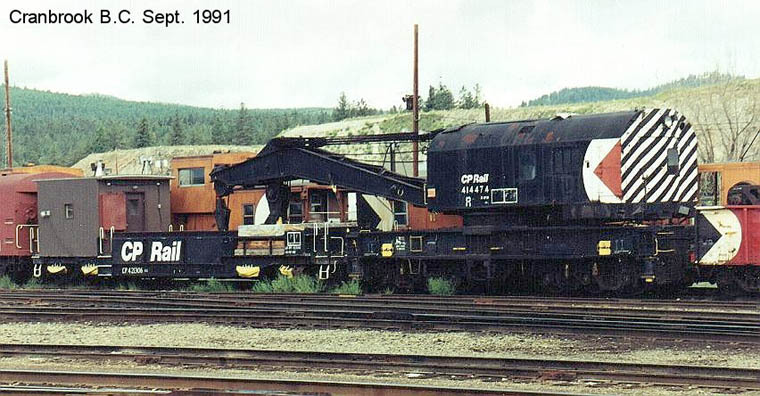 0-7 mounted on flat car.